Are you or your business looking for a way to help pollinators in your community? We have many opportunities for you to help! Honey Bee adoptions are great for individuals and as gifts! Bees are amazing and perform a vital role in our ecology. 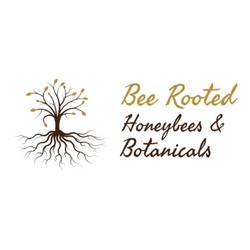 With the individual "Adopt-A-Honey Bee" program, your donation will directly help to support and sustain healthy bee colonies that are vital to local community pollination and the larger ecology. Donations help to purchase hives, bees, and equipment to ensure healthy honeybees. Our Adopt-A-Hive sponsorship program is perfect for anyone interested in beekeeping, but not able to have hives due to expenses, limited space, or time. Each donation is for one year only and can be purchased for yourself or as a gift for family and friends! * Barring any major unforeseen events that could prevent the production of honey. If we are delayed due to weather or hive loss, we will roll your share into the following year. Each hive share is divided into 1/10th per year. We ONLY ship to the continental U.S. only. If this is a gift, please make a note in the Paypal section for notes. Prices include shipping! Any donations are greatly appreciated! With your continued support, we can continue to help the honey bees through urban management, volunteer efforts in the community, developing sanctuaries in community gardens, and more! Grow organic! Avoid the use of toxic chemicals (including pesticides, herbicides and fungicides) in your garden. Use OMRI certified organic garden products and natural pest strategies. These are safer for your family, are more eco-friendly, and are usually more economical. Grow a pollinator garden! Grow a pollinator garden with plants rich in nectar and pollen that bees love. We are in a drought! Bees are thirsty too! Provide fresh water in a small bowl for bees to access, bees can’t swim, so add rocks for a landing pad. Buy local! Local honey supports small beekeepers and our local biodiversity. Grow food! Bees love fruit trees and vegetable gardens! Lawns do not provide food for bees. Scrap the lawn and grow food! Buy organic! Buy organic fresh produce as local as possible to support organic local farmers which continue to provide forage for bees. Become a beekeeper! 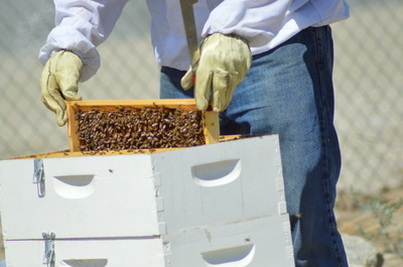 Urban beekeeping is becoming more mainstream in urban and rural environments. The more beekeepers we have, the more biodiversity and insurance against bee endangerment we have.